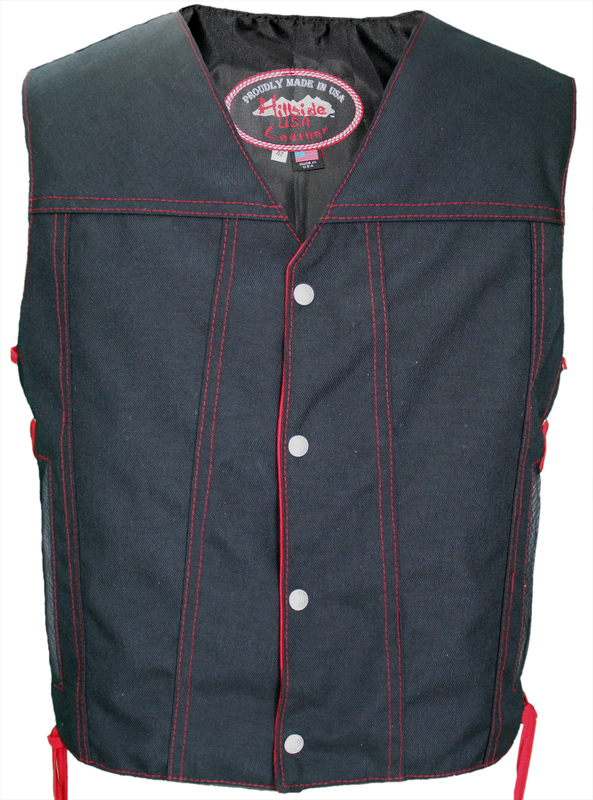 A lightweight motorcycle vest cut created for the summer months. 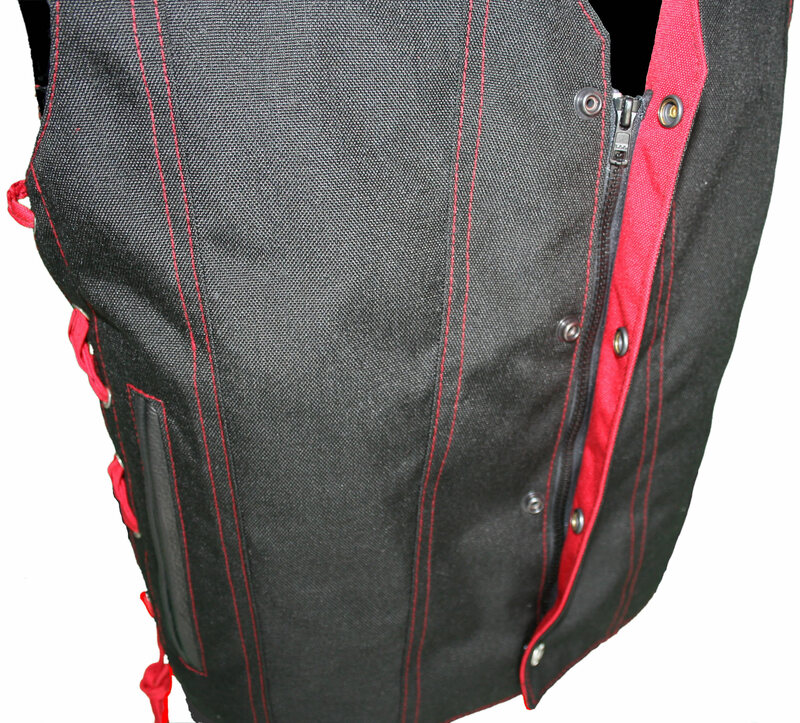 Designed out of water resistance Cordura Nylon, red accents and our new feature; hidden front zipper that allows the vest to stay closed without worrying that your vest it will pop open while you are riding. 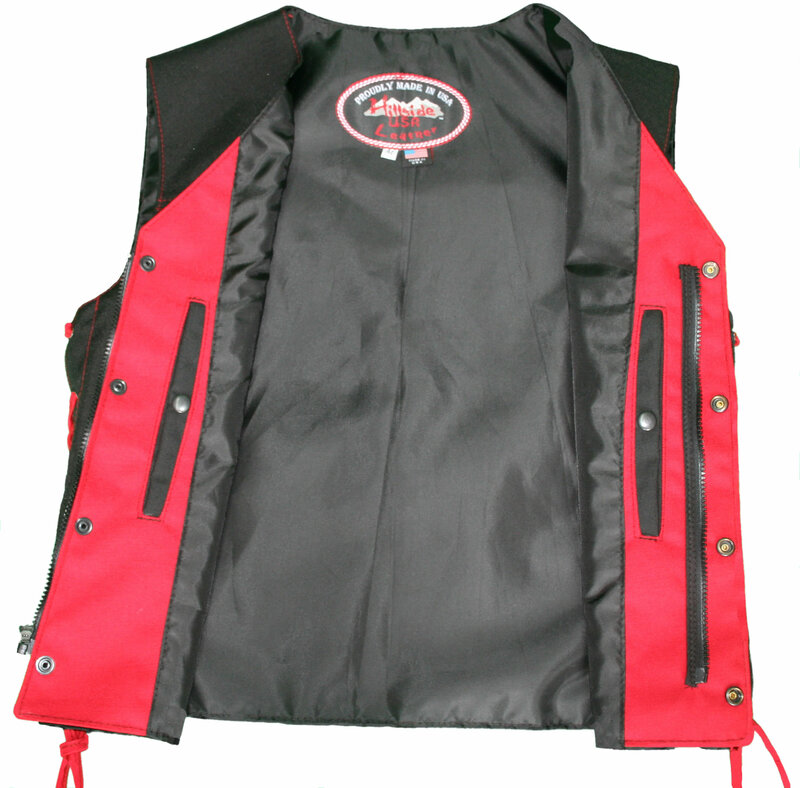 Two Cordura-lined front pockets, two Cordura lined hand-warmer pockets and two inside Cordura lined pistol pockets. 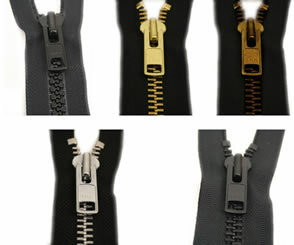 Oxford nylon black liner. 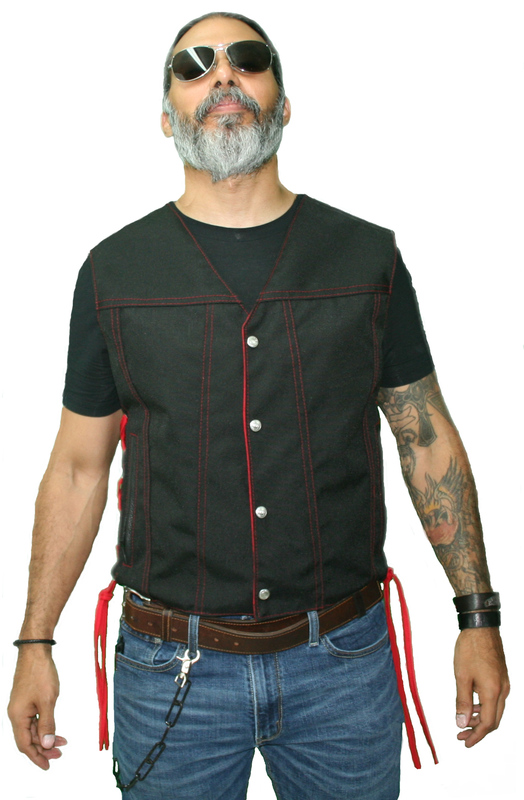 Excellent fit; you'll wear for decades to come. Lifetime Guarantee. 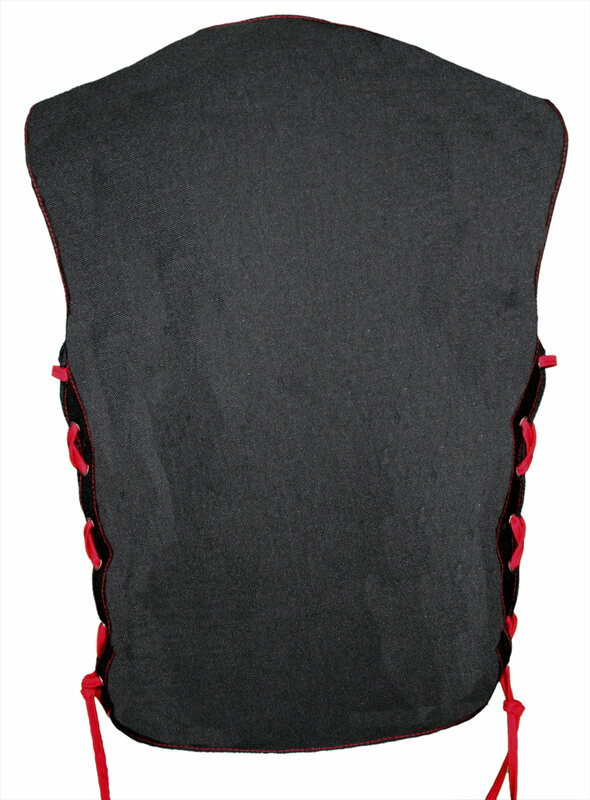 CORDURA fabric: is a collection of fabrics qualified by INVISTA for use in a wide array of products from luggage and backpacks to boots, military wear and performance apparel. 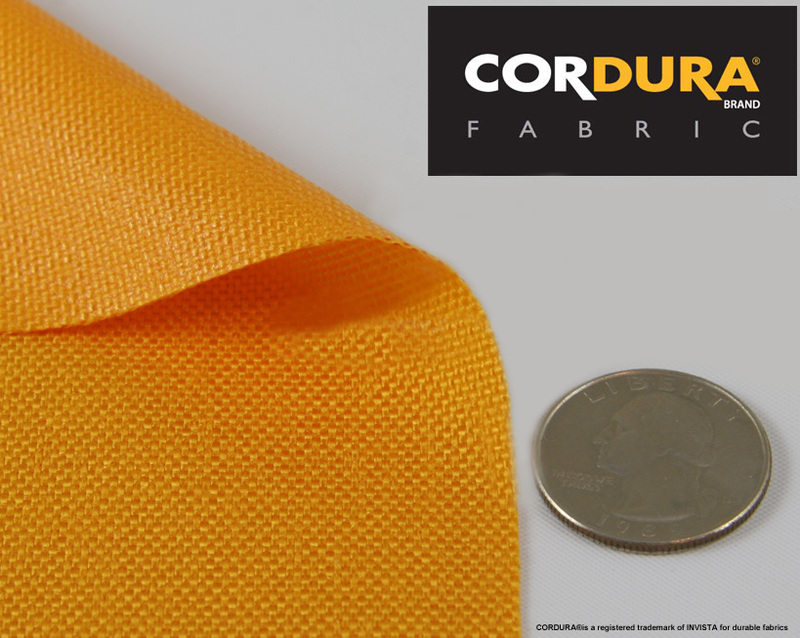 CORDURA brand fabrics are recognized for their long-lasting durability, resistance to abrasions, tears, scuffs and Waterproof.